We realize that we live in a culture of customers rating the services of luxury transportation companies by their attention to detail and quality of service provided. Clients will only choose to have continued service with reputable companies that consistently deliver quality services. This is understandable as the busy schedule of traveling professionals demand it. Why Choose to RIDE With Us? 1) We respect your time and schedule. We give utmost importance to our customer’s itinerary and we ensure proper communication of departures and gate arrivals, which are conveyed from the manager, dispatcher and chauffeur to ensure the best outcome. Your schedules are well-noted, and we incorporate them into our expedient plans. Moreover, we make certain that the routes taken are the optimal routes so that your schedule it not affected in any way during the transport to the airport. 2) Communication is our focus. We have learned that a satisfied client is an understood client. We capture every detail and double-verify the information with our client to ensure effectiveness in our service delivery. In addition, when in traffic bottle-neck situations we can bring you on board to inspect our alternate route plan with an estimated time of arrival so that you can approve or make recommendations for faster travel, if you deem necessary. Otherwise, let our experts keep control and bring you to your destination with ease. 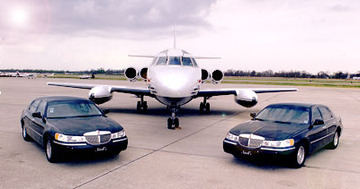 3) Our team of Chauffeurs are trained and reliable. And our company is fully insured. We have obtained and acknowledged all required licenses and requirements for legal compliance. We want to give you reliability and a professional experience with a reputable luxury limousine transportation company who cares about your safety and security. 4) We put emphasis on safety and a quality ride. Our customers are our most precious asset. We have gone through great detail to ensure that our limousines are always operating in excellent performance. We do this by putting a custom regular maintenance program with certified mechanics in place. In this manner, we leave you with peace of mind and a beautiful, relaxing ride to the airport. With our premium St. Catharines airport limousine service, you are guaranteed to arrive at your airport on or before your itinerary time. We have proven scheduling, dispatch and trained chauffeurs who have consistently delivered quality work. Our customers like us and choose us for reliability because we deliver timeliness and luxury at the same time. This is why our clients, after a few rides, choose to bring us on as their preferred team for all their scheduled travel plans for the year. We are dedicated to providing incomparable quality service in the most elegant limousines to keep you as our client forever. We also consider the budget of our clients and therefore, offer our incredible services at REASONABLE RATES that any customer can afford. Fill In The Form Or Call Us Today For A FREE Quote!